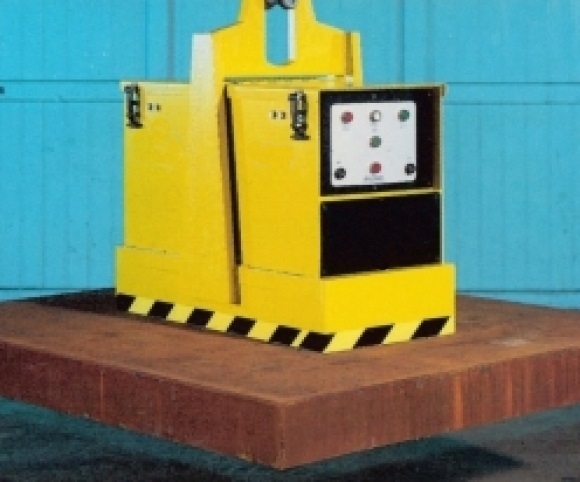 Battery-powered lifting magnets are suitable for transporting ferromagnetic work pieces, without the need for a continuous power supply. The work piece can be passed from crane to crane or fork-lift truck to fork-lift truck without dropping the load. The magnet is powered by a battery: the controller is located on the magnet for simple control. These magnets are supplied with a battery charger and are also available with a wireless remote control.